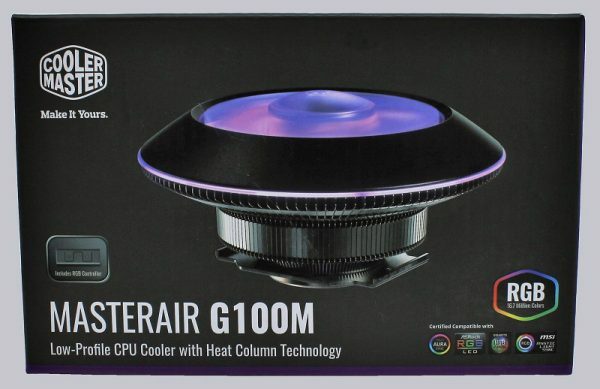 Unlike the recently tested MA410P, MA610P and MA620P tower coolers, the small round Cooler Master G100M UFO cooler is more for the small space requirement in Micro ATX or Mini ITX enclosures, without sacrificing an optical highlight. We test whether the cooling performance is still satisfactory and also have the 360 degree view, a new video with sound and yet another video with all the RGB effects in our OCinside YouTube channel. 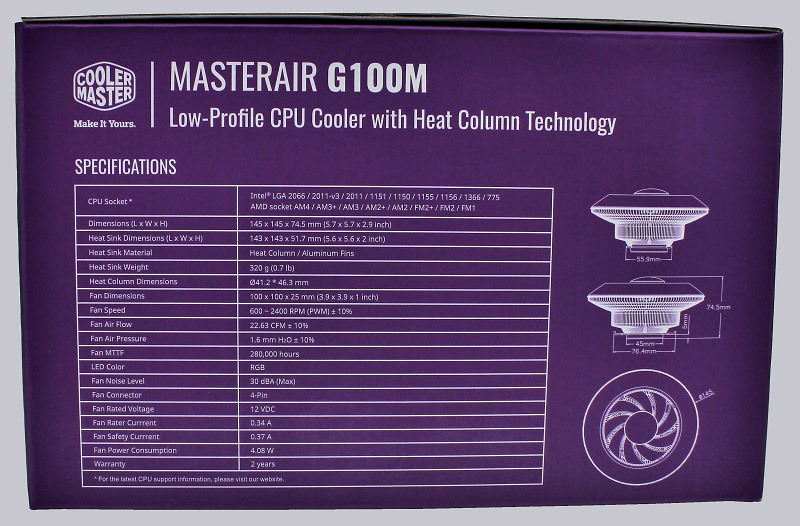 Thanks for the support to Henro & the manufacturer Cooler Master. 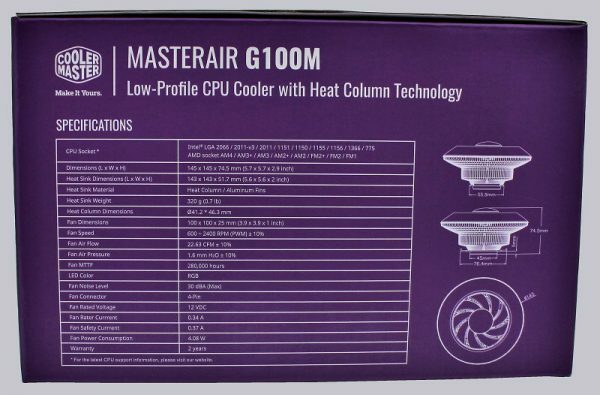 The Cooler Master MasterAir G100M has at review date a price of about 40 Euro (06/2018). 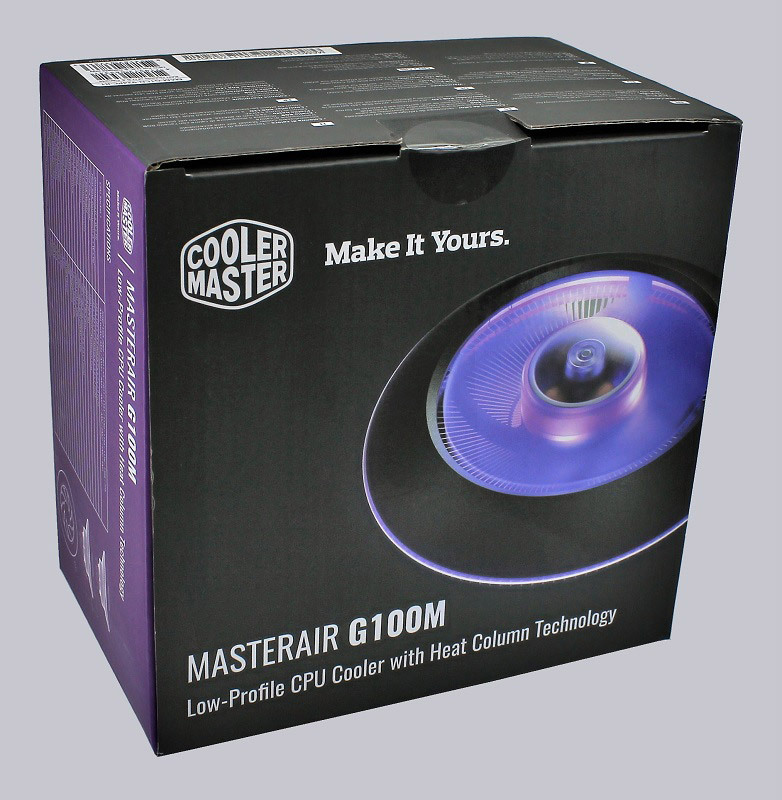 Here you can order the Cooler Master MasterAir G100M at a reasonable price. 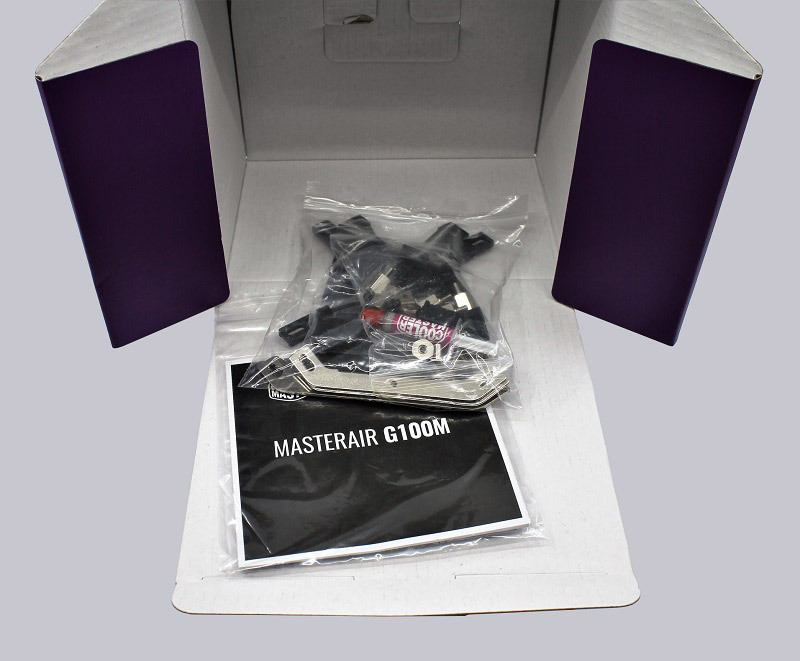 As usual, the G100M reaches us in the typical MasterAir packaging printed with bold colors. 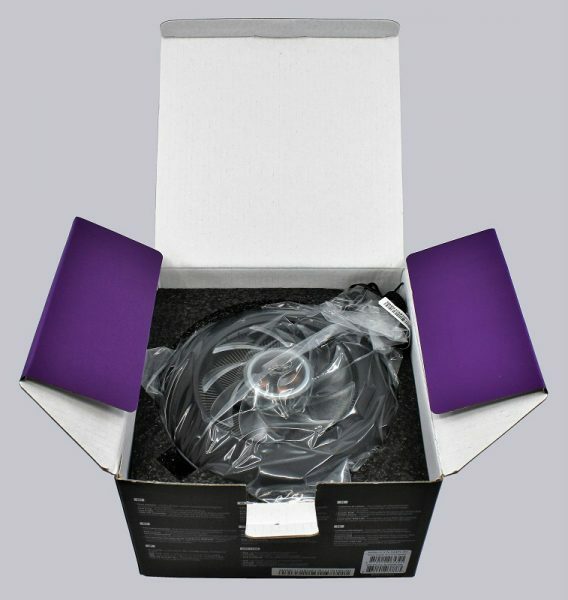 As always with other Cooler Master RGB products, we find the RGB logos of the relevant mainboard manufacturers: ASRock RGB LED, Asus Aura Sync, Gigabyte RGB Fusion and MSI Mystic Light Sync. Also, the reference to the RGB controller is not missing. 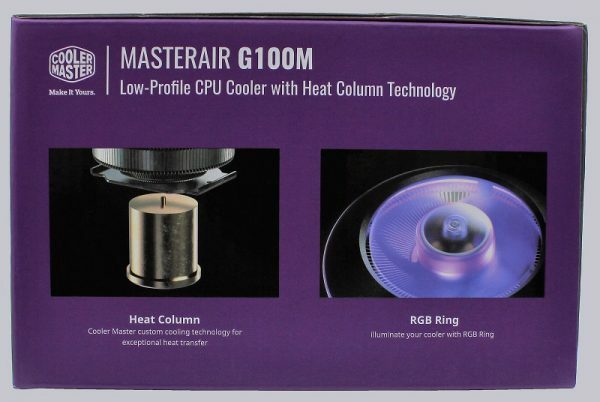 The other side of the box shows the highlights of the G100M: the heat column, which is responsible for the removal of the CPU heat and the RGB design with illuminated fan and encircling ring. On the back we see exemplary all important technical data. The cooler is securely packed in a polystyrene shuttering and additionally protected by a foil. Underneath we find the extensive mounting material, thermal paste and the RGB controller. Now let’s take a closer look at the technical data.